Veronica Mars will begin airing on SOAPnet, starting Saturday, April 7, Saturdays from 1PM-4PM (ET/PT). The series will also air on Sundays from 10AM-1PM. 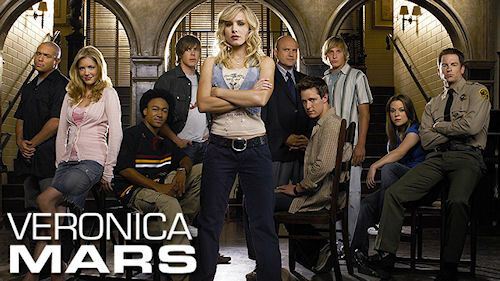 Veronica Mars is a drama about a wealthy seaside community where the rich and powerful make the rules, own the town, and desperately try to keep their dirty little secrets just that...secret. Unfortunately for them, there's Veronica Mars (Kristen Bell, House of Lies) a smart, fearless 17-year-old high school student looking after her father and helping with his struggling new private investigator business. By sneaking through back alleys and scoping out no-tell motels with a telescopic-lens camera and her math book, Veronica attempts to uncover the California beach town’s darkest secrets, including who killed her best friend, and created a scandal that cost her father his job, his home and his wife. What she finds may tear the town of Neptune apart at the seams. Also stars Enrico Colantoni (Just Shoot Me! ), Teddy Dunn, Jason Dohring and Francis Capra. Produced by Joel Silver and Rob Thomas. In addition to daytime soaps, SOAPnet also airs favorite primetime series Brothers & Sisters, Gilmore Girls, The O.C., One Tree Hill and Beverly Hills 90210 Many of you won't be able to see these shows and Veronica Mars it seems starting March 23. Disney-ABC of course announced that SOAPnet is expected to cease all operations on March 22, 2012, with new network Disney Junior to replace it in its channel space. The schedule will continue for providers who have not yet made carriage agreements for Disney Junior after that date, and will continue to be offered until all providers have been signed for the new network, Variety reports. There will be other changes to the schedule beginning in April, so please check that out. We have a few recent deaths to report. Television writer and producer Bob Colleary died on January 8, in Cottage Hospital, Santa Barbara, after a brief illness. Colleary was the head writer on Captain Kangaroo for more than 20 years. His sitcom writing credits included Barney Miller (for which he won the Best Writing Emmy in 1980), M*A*S*H, Love, Sidney, Gimme a Break!, Benson, The Golden Girls, It's a Living, Night Court, The Facts of Life and The Hogan Family. He also worked as an executive producer on Benson and It's a Living. His son, R.J. Colleary, has also worked as a writer and producer. Mr. Colleary was 82. Australian actor Laurie Main, best known as host and narrator of the Disney Channel's Welcome to Pooh Corner, died in Los Angeles on February 8. Main's many sitcom guest appearances included Bachelor Father, Ichabod and Me, Get Smart, The Andy Griffith Show, That Girl, The Monkees, Hogan's Heroes, Mayberry R.F.D., The Ghost and Mrs. Muir, Family Affair, Bewitched, The Doris Day Show, The Partridge Family and The Facts of Life Goes to Paris (TV movie). Mr. Main was 89. Hazel Medina, who acted for more than four decades in films and on television, died due to complications from multiple myeloma in New York on February 14. 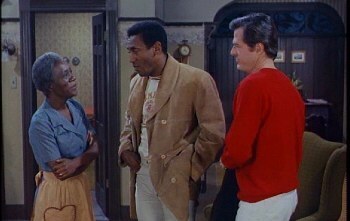 She played Crazy Alice on Sanford and Son in the episode Chinese Torture. Her other television credits included I Spy, Gunsmoke, Medical Center, Baretta, The Rockford Files, Lou Grant, The White Shadow, The Cosby Show and Law & Order. Ms. Medina was 74. Trinidadian actor Sullivan Walker, who played numerous small and recurring roles on television shows from the early 1980s onwards, died on February 20 in California. 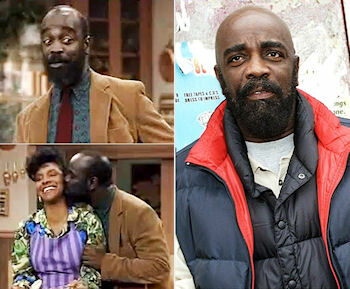 He had a recurring role on The Cosby Show from 1988-91 as Bill Cosby's physician friend, Dr. James Harmon. His most regular television roles were as James St. Martin on the 1993 ABC TGIF sitcom Where I Live and as Yale on Earth 2 in 1994-95. Walker's other television credits included The Fresh Prince of Bel Air, Lush Life, Living Single, The Sentinel, The Jamie Foxx Show and Law & Order: Special Victims Unit. Mr. Walker was 68.